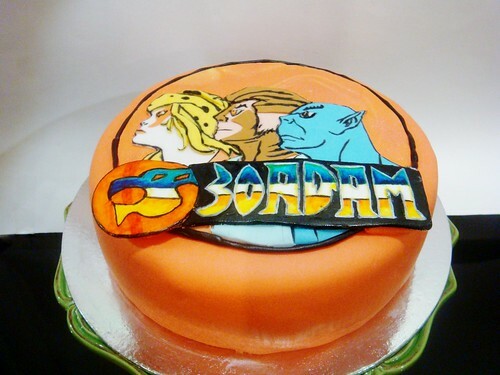 My good friend, Sandy, asked me to make a cake for my old work mate, Adam, (not my work mate that is old, a work mate at my OLD work!) he was turning 30 so she wanted to surprise him with something awesome! She did her research and found out her loves Thundercats and Tiramisu dessert. ...I had never heard of Thundercats (it was before my time!) and I had never made or intended to make a Tiramisu so this cake was going to be a very experimental cake! I found this great recipe on Baked Bree.com and modified it a bit so that I could cover it in fondant. I will definitely post the recipe later this week! 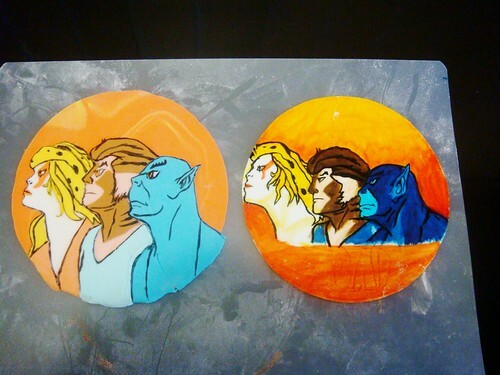 When I looked up pictures of Thundercats I immediately thought, this is going to be a challenge. I decided, now was the time to learn how to paint on to fondant. I looked up instructions on the net and gave it a shot. It was really hard to get all the proportions right, especially on the girl. The colours were hard to get right too because I only had a few to choose from. The finished result was alright (for my first try) but I wasn't completely happy so I decided to try it in fondant. I cut out all the pieces individually to make up the picture. This took a really long time but in the end looked a whole lot better than the painted picture so I decided to use this one. 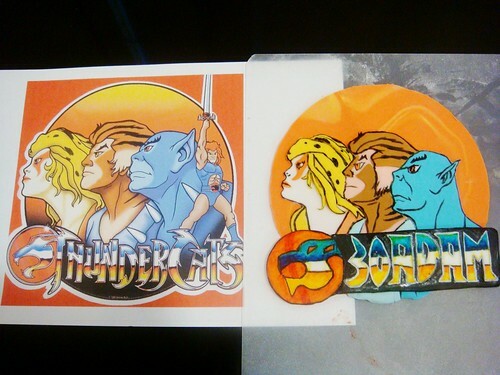 I remember Thunder Cats (not before my time lol) yeah I am telling my age!! 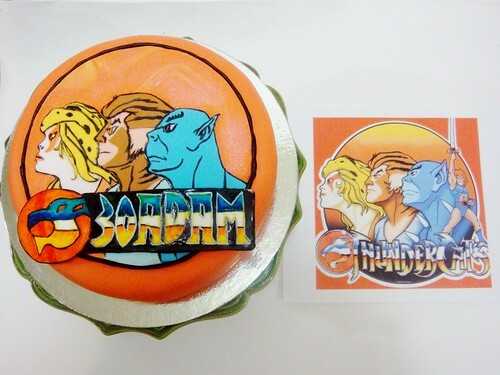 :-) Thunder Cats isn't that old and neither am I but if you are younger than 30 you probably won't really remember it!! :-) LOL! !